Global sports performance and data science company Orreco has launched a brand new digital platform called FitrCoach, that allows coaches or coaching teams to understand and support female athletes during training and in each phase of their menstrual cycle. 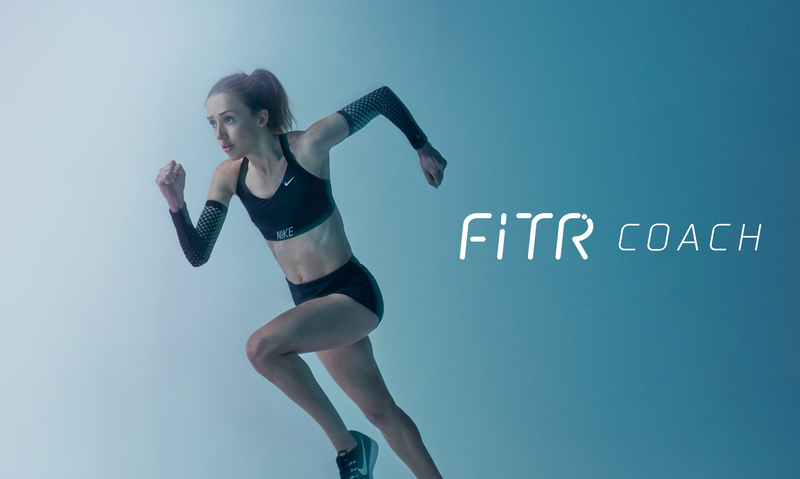 The launch of FitrCoach is the latest addition by Orreco to a suite of femtech and female athlete consultancy services that focus on developing research, education and performance in the female athlete, with personal health always at the forefront. Following on from the globally successful rollout of its FitrWoman app, which optimises individual female athlete performance around the menstrual cycle and for everyday training, Orreco has developed FitrCoach to revolutionise how teams and coaches care for female athletes. Orreco and their partners Strava recently completed the largest ever global survey of exercising females, with the research in the UK and Ireland finding that 81.5% of athletes with coaches have NEVER discussed their menstrual cycle with their coach. That’s despite more than half (57%) saying that they feel their performance is reduced at certain points of their menstrual cycle. Just 20% received any education about sport and the menstrual cycle. Orreco helps elite athletes and coaches to answer daily complex performance questions with data driven decisions that can in turn optimise their performance, accelerate their recovery and prolong their careers. It also offers female athlete-specific consultancy packages that help individuals identify their current menstrual status, highlight any irregularities and learn about their cycle. The aim is to reduce the negative impact of symptoms associated with their cycle, maintain a regular cycle and optimise their performance around this, with health always at the forefront. FitrCoach works by connecting with the free FitrWoman 2.2 App in real time, so the coach or coaching team can understand and support their team of athletes during each phase of their individual cycles – and for use during their training all year round. The unique system allows athletes and coaches to confidentially discuss how fluctuations in hormone levels can influence female physiology, so they can maximize every session for every athlete throughout their cycle, while also highlighting when any irregularities or missed cycles occur. FitrCoach would be a significant addition to the range of tools available to female athletes. After the release of FitrWoman, I am delighted to now have a tool specifically designed to make this information available for the support team. Not only does it facilitate the much needed conversation, FitrCoach provides an education for the team, including key actions. The more awareness we can drive to the FitrWoman app and FitrCoach within the swimming community, the more we can begin to understand the impact the sport of swimming has on the female hormonal system. We are continually looking at innovative ways, and to work with world-leading organisations such as Orreco, to further educate us in ways to help reduce injuries or illnesses, in this instance as a result of hormonal irregularities. FitrWoman allowed women to get the best out of their body in every stage of their cycle and FitrCoach would provide coaches and trainers with a powerful tool to help support their female athletes. FitrCoach seamlessly connects with FitrWoman creating an ecosystem of education and understanding between coach and athlete. Combined with the latest sports science research and insights on best training, nutrition and recovery strategies for female athletes, FitrCoach really is a must-have platform. The first step is to open the conversation, the second is to take action. With FitrCoach you can access a number of resources specifically designed for coaches and trainers of female athletes. Keep track of athletes throughout their whole cycle, know when to adjust training, nutrition, and recovery to support your athletes. Spot trends over time and plan ahead for the next session. Orreco’s successful FitrWoman app helps girls and women better understand their unique physiology; and how hormonal changes may impact the way they feel, train and fuel on any given day and not just around their period. It also helps track their cycle and symptoms to optimise their performance every day. FitrCoach is truly changing the game. With their athlete’s permission coaches can access real time information as to how their athletes are feeling, engage on a subject that may historically have been taboo and reduce injury risk. Coaches can now use the power of female physiology to help their athletes be even better. 14,184 people completed the 2019 study, led by Dr Georgie Bruinvels, Orreco scientist and co-creator of the FitrWoman App. Survey respondents were members of Strava, the social network for athletes, from UK, Ireland, USA, Brazil, France, Spain and Germany. The findings reported were a result of a preliminary analysis of the data, with a view to future peer-reviewed journal publication of the full study and analyses. Orreco analyses athlete data and delivers evidence-based, personalized strategies to improve recovery rates, optimize training response and protect against excessive fatigue and under recovery. By keeping athletes in their peak performance zone, we aim to reduce injury and illness risk for elite athletes and extend playing careers. Orreco scientists have been analyzing athlete data for over 18 years, across 5 Olympics, in 16 different sports for over 2000 elite athletes. The team includes 15 PhD’s, together they have 300+ peer-reviewed publications and continue to lead research globally in their fields. Orreco integrates sports science, data science and systems development and operates as a team within the team. Orreco are also advancing how elite female athletes are monitored, protected and supported to advance female performance globally. Driving female athlete empowerment by being at the forefront of research, applying a smarter training approach to help smash down barriers, while maximizing potential and optimizing performance through our unique FitrWoman app and the newly launched FitrCoach platform.